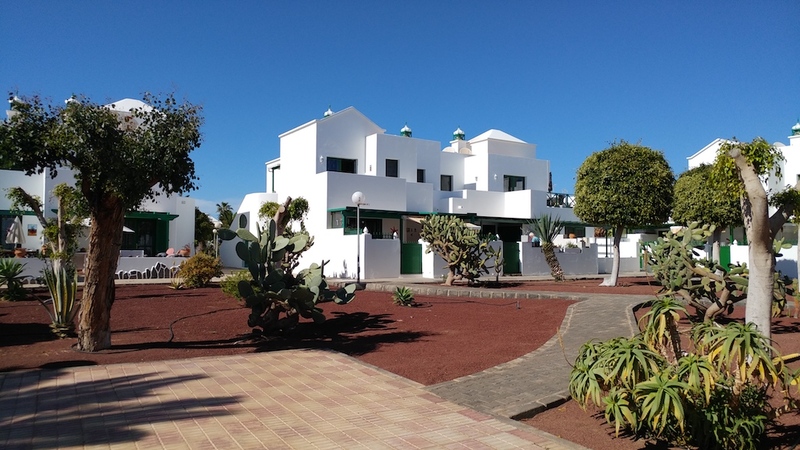 Ideal for couples, our Family home, DDAY DORADA BEACH apartment, is bright, spacious and very well maintained. It is located on the 1st floor of a small quiet residence (Marcastell 1). This one storey cosy apartment is composed of 2 rooms, a large living room with an open American kitchen totally equipped, TV, a bathroom with a large shower, 2 large terraces (12m² each), one facing south and the other one facing west to enjoy the sun all day long. – 2 terraces with views on the “Ayache”, with garden table and chairs…. Lanzarote’s climate is exceptionally mild throughout the year. I will be pleased, before and during your stay – in case of need – to communicate with you with Whatssap. Meanwhile, we have a local friend who will welcome guests at the home, giving and picking up the keys. I will send you a little book of the house explaining the ‘’essentials’’ of our home and the booking contract. Weekly price 420 € (60 € per night) based on 2 adults sharing, with a minimum of 7 nights, (including bed linen, towels, beach towels).